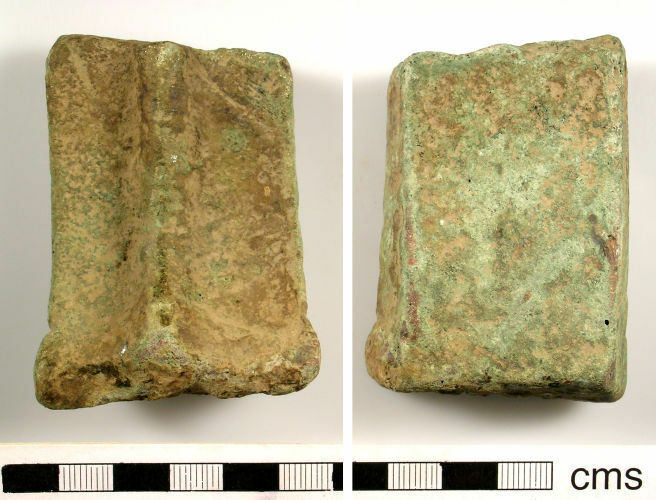 A leg fragment from a Bronze (copper-alloy) vessel, from the Late Medieval or Post-Medieval period. The fragment may have been part of a cauldron or a plate/dish. The leg flares out slightly towards the foot, there is a raised ridge running down the centre of the leg. The surface of this leg has a dark green patina. The broken edges are all slightly worn.